The clear, blue spring water of Beppubenten Pond is mysteriously beautiful. 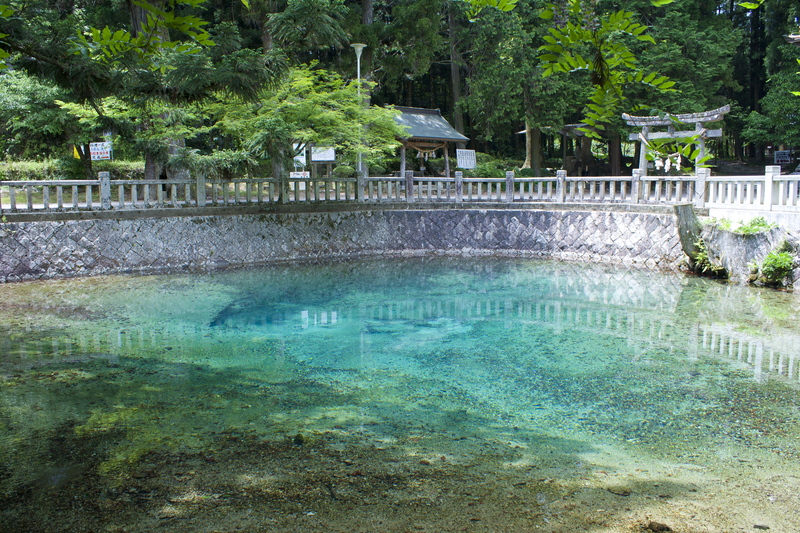 This highly-transparent spring water, 14°C in temperature, has been selected as one of Japan’s top 100 springs. Visitors can enjoy trout cuisine and trout fishing.